It didn’t exactly light up the world like some people thought it did. 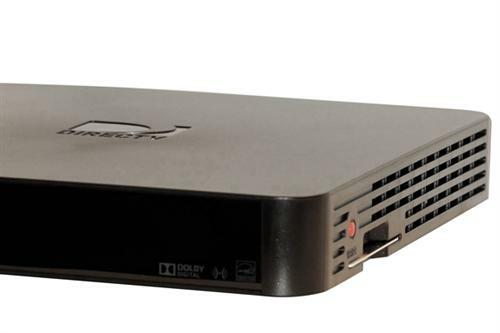 DIRECTV’s H44 Genie Lite is a smallish receiver (a little bigger than an H24) that can be converted to a full Genie with the addition of a branded hard drive. It sounds like a good idea, and after all DISH has had its 211 and 311 receivers for years that you can add a hard drive to. The devil’s in the details, though, and between the fact that you have to use DIRECTV’s specific hard drive and the fact that the Genie Lite doesn’t work with older dishes, it’s been a hard sell. While we still offer them at Solid Signal, we’ve been told that the H44 idea was nice but they’re not moving ahead with new convertible receivers like that when current supplies of the Genie Lite are exhausted. If you have the H44, however, you’ll want to know that it will eventually be getting the new user interface. Love it or hate it, it’s the future of DIRECTV and AT&T and it will be rolling out to all Genies except the now-obsolete HR34. Editor’s note: I know, I didn’t include the H44 in my initial review of the user interface. That’s my error and doesn’t mean the H44 won’t get the new menus. DIRECTV’s biggest change in six years is rolling out slowly and you may not even see it until February. There were some early rumors that it was being “rolled back” but those ended up being false. Everyone will eventually get these new menus, and DIRECTV customer care representatives will be available for comments if you find that you’re not completely satisfied.